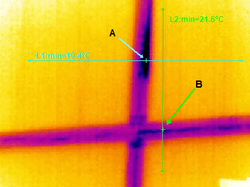 Thermal Imaging can determine cold loss from refrigeration systems. 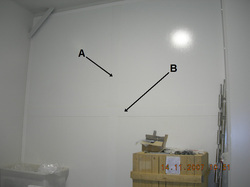 In this instance a client was able to prove to their supplier that a cool room repair was inadequate as thermal loss is clearly evident at the site of the repair. This report gave sufficient leverage to claim for compensation or repair.